You’ve heard of Movember and Dry July, and now we’re starting a new one: Antioxidant Autumn. When the weather starts to cool down, you need to take extra good care of your health, so it’s time to start fuelling up on antioxidants and getting your body in good shape for the cooler months ahead. Antioxidants help protect your body from the damage done by free radicals and may help reduce your risk of contracting serious diseases. Antioxidants include beta-carotene, lycopene and vitamins A, C and E. Need an antioxidant hit to prepare your body for winter? Look no further than these delicious and satisfying antioxidant-rich foods! Beta-carotene can be found in carrots, sweet potatoes, squash and pumpkin — the perfect ingredients for a deliciously warming soup. 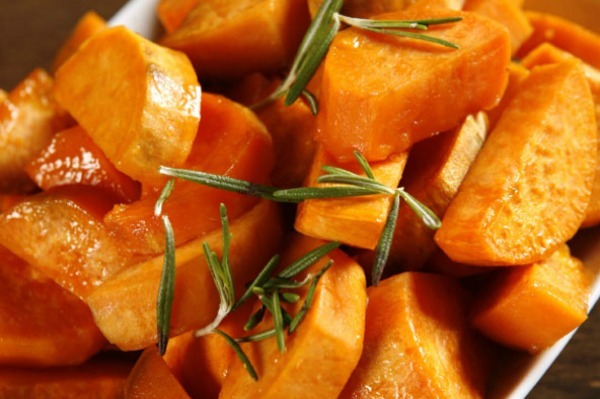 Sweet potatoes are also rich in vitamin A. Broccoli is packed with vitamin C, vitamin E and calcium minerals. Enjoy it boiled, steamed or roasted, or throw it into your beta-carotene soup. Add a little health-boosting garlic to your soup and you’re good to go! This seasoning contains vitamins A, B, C, potassium, calcium, selenium, magnesium and zinc, and is great for fighting viruses. Fill up on green, leafy veggies, such as spinach, to give you a beta-carotene boost. 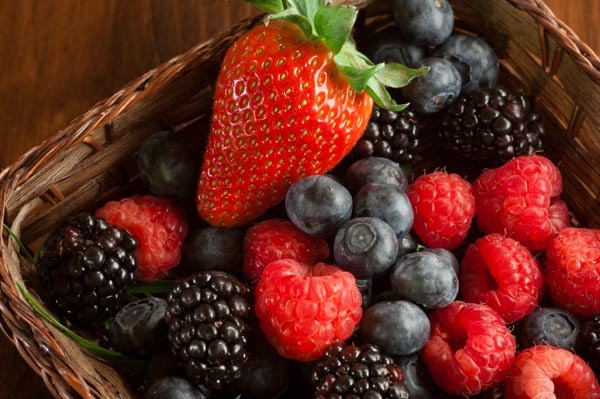 We hardly need encouraging to start devouring delicious raspberries, strawberries and blueberries, but it’s great to know they’re also good for you! They’re believed to help reduce your risk of heart-related diseases and cancer, and help control other diseases. Throw some on your cereal in the morning or enjoy a handful as a snack. Red peppers are packed with Vitamin C, also known as ascorbic acid, which is key to the production of collagen, a protein that promotes skin cell growth and helps your skin to stay firm. It’s delicious in an antioxidant-rich stir-fry of broccoli and beans. Grapes, kiwi fruit and citrus fruits are all full of Vitamin C, that fantastic antioxidant that helps fight free radical damage. While our fruit intake can lag in the cooler months, make sure you still get your daily requirements. Munch on nuts such as almonds, cereals such as corn and oats and beans including red beans, kidney beans, soya beans and black beans for a healthy antioxidant boost. Cereals are also known to contain vitamin C. A bowl of oats in the morning with some kiwi fruit and berries is a great start to Antioxidant Autumn! You can also get a Vitamin E boost from many oils including vegetable oil, fish liver oil, wheatgerm oil, corn oil, safflower oil and soybean oil, so simply substitute your regular cooking oil with a veggie oil or quality alternative to up your intake. 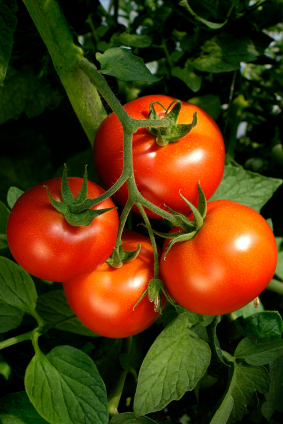 Tomatoes are believed to contain lycopene, which is an antioxidant that’s believed to help fight against cancer and heart disease. Fry some up in a pan for a deliciously warming snack. Beef, poultry and fish also contain plenty of vitamin C. Sources say that ubiquinol can only be found in the skin of fresh mackerel and herring, so you could also consider taking this antioxidant as a supplement. Organ meats are known to contain lipoic acid, which helps to boost glutathione levels and vitamins E and C, while liver also contains vitamin A. Some dairy products such as milk and mozzarella cheese are believed to be rich in vitamin A. Whisk some milk with egg yolks for a double antioxidant hit and a yum breakfast on a cold morning. Well this is the one you were waiting for! Yes, it’s true — the research says that dark chocolate boosts our antioxidant levels. But before you go reaching for the family size block, just remember that of course it’s still an occasional treat and has to be eaten in moderation, so go easy… but enjoy!